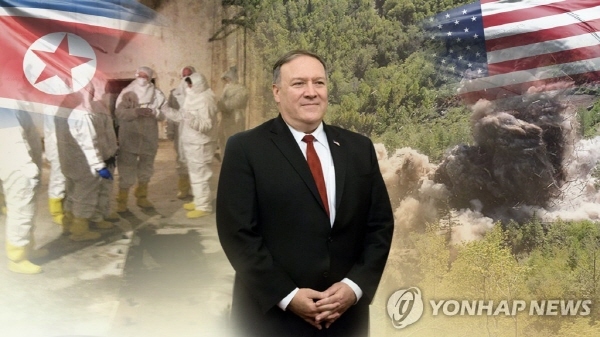 U.S. Secretary of State Mike Pompeo said Sunday that "details" are being worked out for the possible second summit between Washington and Pyongyang, amid a flurry of media reports on Vietnam as its possible venue. During a media interview, he made the remarks as expectations grow that U.S. President Donald Trump and North Korean leader Kim Jong-un may meet in the coming months to break an apparent impasse in their negotiations over Pyongyang's denuclearization. "We're working out the details, Margaret," Pompeo told Margaret Brennan while appearing on the broadcaster's "Face the Nation." "You'll be among the first to know." The top diplomat did not elaborate further. Over the weekend, Japanese news reports said that Trump has proposed holding the summit with Kim in Vietnam in February, and that Kim has yet to respond to that proposal. Foreign media have also said that Thailand, along with Vietnam, is being considered as a candidate site. Details about the venue and date for the second Trump-Kim summit are expected to be discussed at high-level talks between the U.S. and the North. Upon his return from a trip to the Middle East on Tuesday, Pompeo is expected to seek dialogue with the North. There has been little progress in Washington-Pyongyang talks over the North's nuclear disarmament in return for security guarantees and other forms of compensation.